Only one remaining! 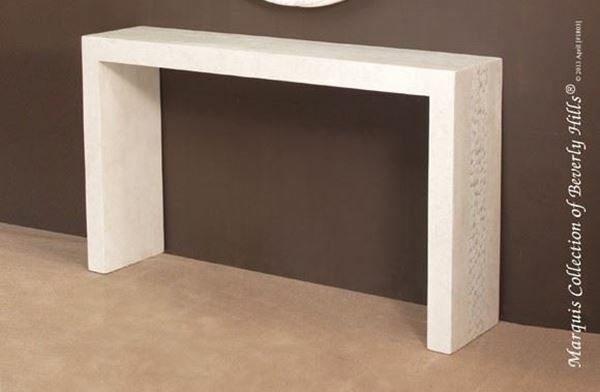 Reflection Console Table by Marquis Collection of Beverly Hills. Hand crafted in Troca Seashell, and white ivory fossil stone.